Join the Bronx River Alliance Greenway Team, Boogie Down Rides, TA Bronx Committee, Five Borough Bicycle Club, G.I.V.E. and the East Coast Greenway Alliance for a friendly bike ride of the full length of the Bronx River. Our "One-Way" option is a friendly 23-mile ride while more advanced riders might enjoy the "Roundtrip" 46-mile ride along the Bronx River Greenway. 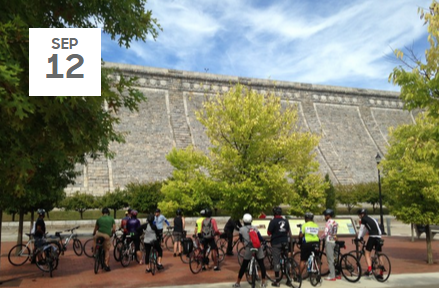 The ride starts at the estuary of the Bronx River and continue to its source at the Kensico Dam in Westchester County. The "Roundtrip" ride will return to the starting point at Soundview Park in the Bronx. The ride is Free but participants will need to register here.